We spoke to ManAboutWorld Global Correspondent DJ Yabis (born in the Philippines but based in Dusseldorf) about his passion for travel, and we selected his journey to his homeland as this month’s Parting Shots in our magazine. Here’s the expanded story and more of his photos. It’s very simple. I love traveling because I am happiest when I am on the road. It depends if I need a visa! For trips that don’t require one, I usually plan 2-4 weeks in advance. Mostly just flight and accommodation booking. I’m very spontaneous. 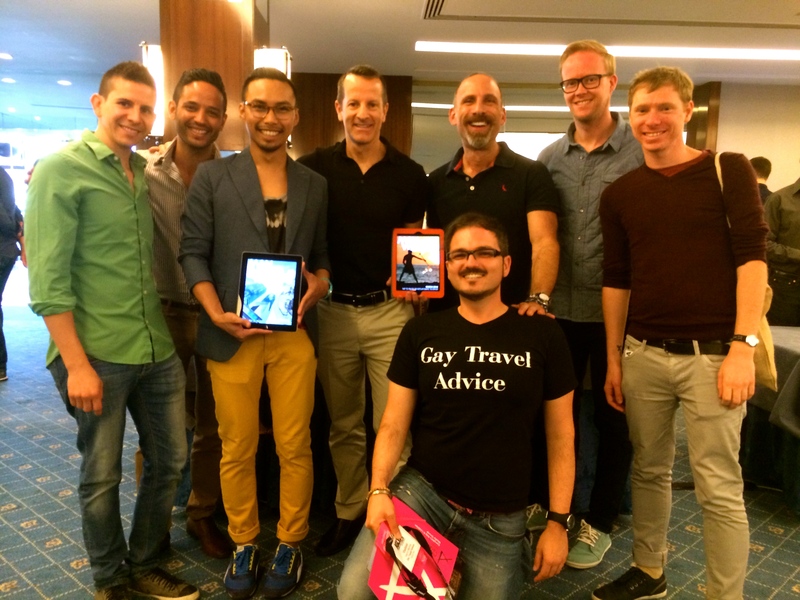 Over a dozen ManAboutWorld correspondents attended the IGLTA’s 31st annual Convention, May 8-11. Here are eight of them from left to right, including their specialty, nationality and current city. What a worldly, hard-working, passionate group! Just wait till IGLTA’s 32nd annual Convention in Los Angeles (April 9-12, 2015) where we will make an even bigger splash.